When I find a product I really love, I feel compelled to share. This is definitely one of those instances. 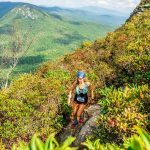 I first discovered Runner’s High Herbals through Instagram, via a runner I do not know in real life, but I enjoy following her trail and ultra running adventures through visual snapshots. 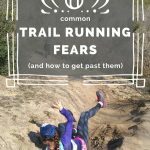 She is an ambassador for Runner’s High Herbals, and as such, posts about them a lot. I became intrigued. A textbook case of social media “influencing” working the way it’s supposed to. 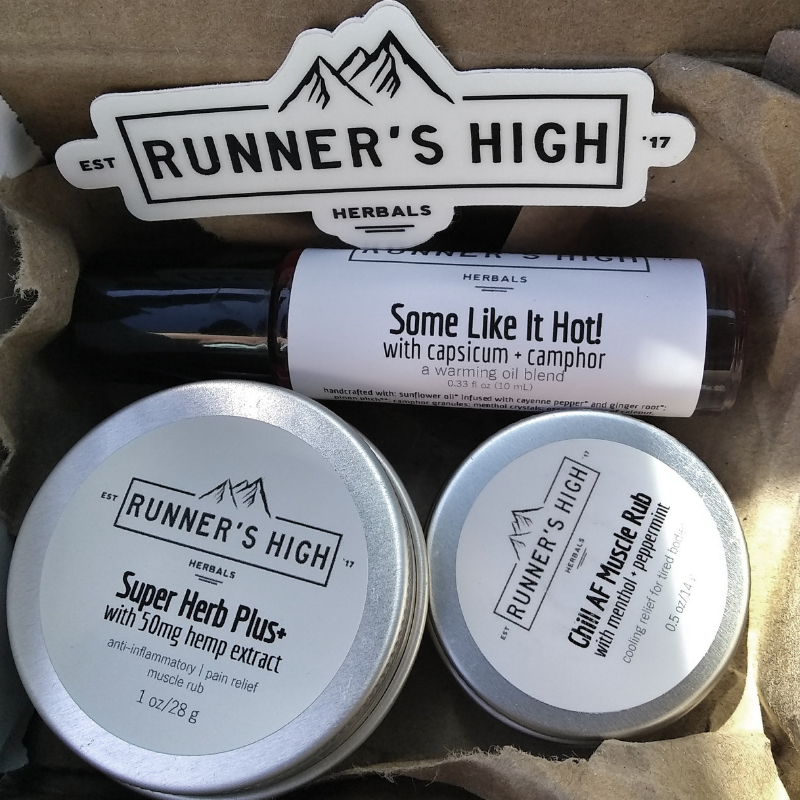 I took my intrigue one step further by trying out some of the Runner’s High Herbals product line for myself. 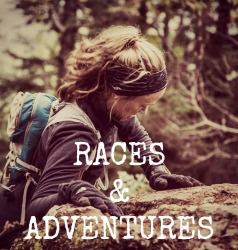 And of course, I’m going to write about my experience…because that’s what I do. 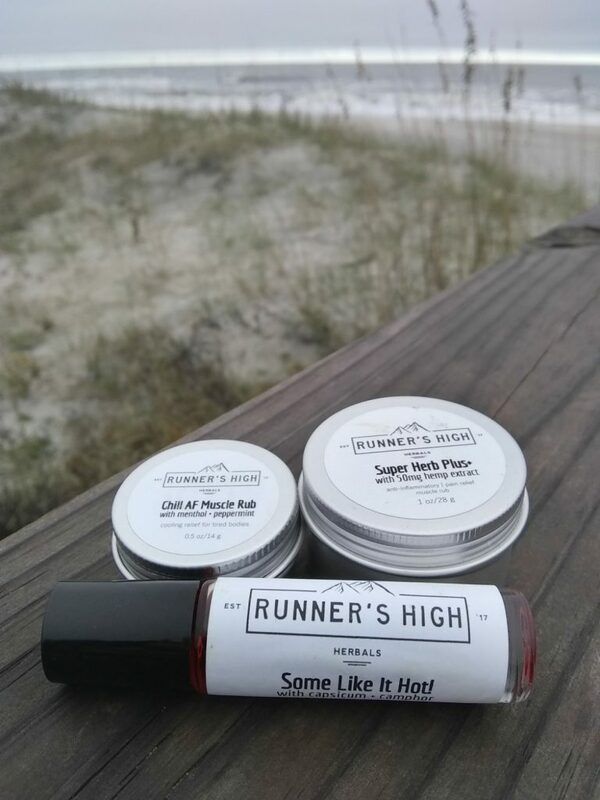 Runner’s High Herbals creates herbal remedies and natural, alterative methods designed to help ultrarunners and outdoor enthusiasts deal with the normal inflammation, muscle soreness, aches, pains, and the toll of overuse that just naturally comes with long days on the trail. While many products are hopping on the CBD oil bandwagon (and I am too, more on that later) Runner’s High products are crafted around the anti-inflammatory and analgesic properties of the pitch (sap) from the Juniper-Piñon Belt tree, combined with other plants, herbs, and extracts. I walk a very fine line between modern Western medicine and more holistic approaches to overall health. I do believe in the need for pharmaceuticals and seeking professional medical help when it is necessary. 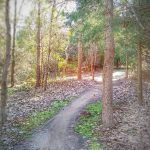 However, I also believe that there are a number of more natural approaches to health that can be taken as preventative measures, and aid in overall wellness. Plants are definitely one of them. 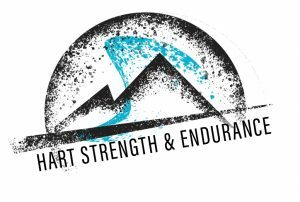 1) They are created specifically for endurance athletes, by an endurance athlete, and other endurance athletes have had success with them. The magical trifecta of “hey, this will probably work for my endurance athlete concerns”. 2) They are hand crafted and ethically sourced from plants. At this stage in my life (better late than never) my husband and I are trying to rely on not only more natural health and beauty products, but environmentally friendly and humane products, whenever possible. 3) It’s a small business. 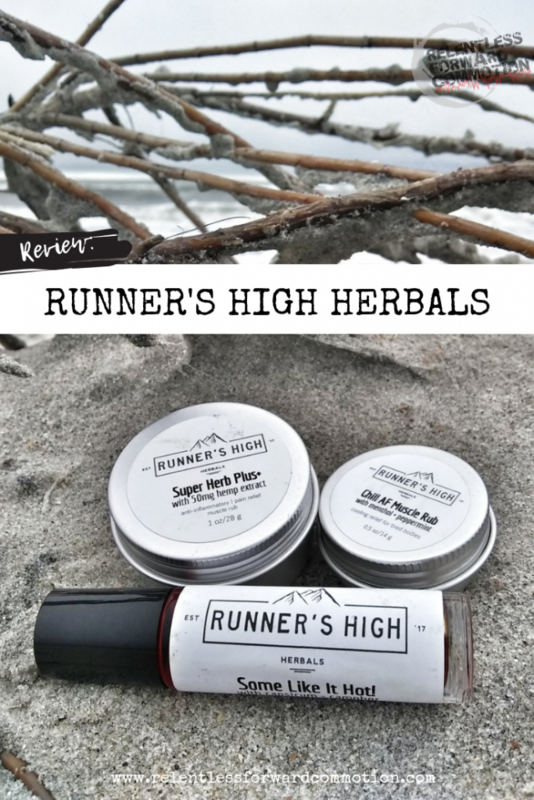 Runner’s High Herbals is a husband and wife team based out of Arizona. This directly ties in with point #2, but in addition to trying to transition to more natural, ethically sourced and humane products, we’re also trying to support small businesses as much as possible. So naturally, I reached out to aforementioned influencer and said “hey, which products should I start with”? 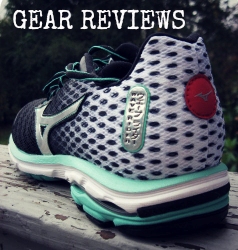 Here’s what she recommended, and here’s my review. According to the website, Super Herb Plus+ is handcrafted using a synergistic blend of plant material that actually works with the body’s natural healing response to overuse and/or injury. It contains potent anti-inflammatory and anti-spasmodic properties, kills pain, enhances circulation, and regenerates cellular activity. This particular product also contains hemp extract, allowing you to benefit from the naturally occurring plant-derived cannabidiol, which interacts with our body’s own endocannabinoid system to support and regulate natural functions. 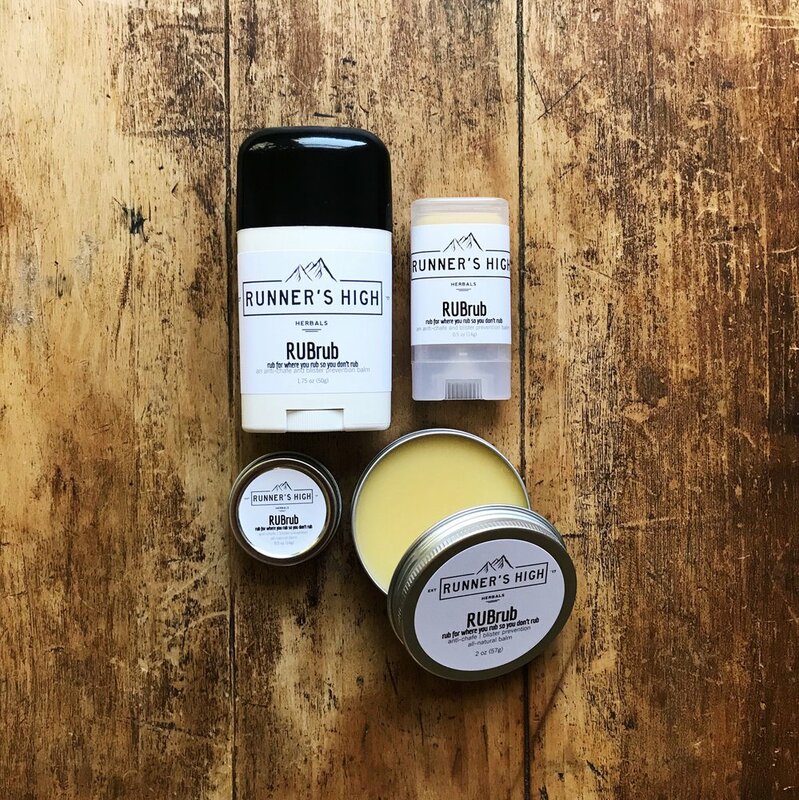 This salve is available in a tin or in a stick. It has a very earthy, but light scent…nothing that will linger and annoy your coworkers or spouse. You can tell there is menthol in this product, but it’s not that overwhelming “someone has sore muscles” smell that literally makes your eyes burn. Let me just get to the point: this stuff works really well for me. 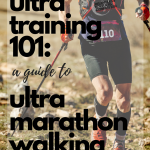 I’ve been putting it on a particularly achy area every night (now that my mileage has made a quick jump back up) and wake up pain free in the morning. It’s naturally slightly oily, which actually feels nice and moisturizing on your skin, but doesn’t leave residue all over your clothes like some other similar products I’ve used. That said, unlike the two products listed below, the Super Herb Plus+ rub does not have an accompanying cooling or heating sensation. You kind of put it on and forget about it. 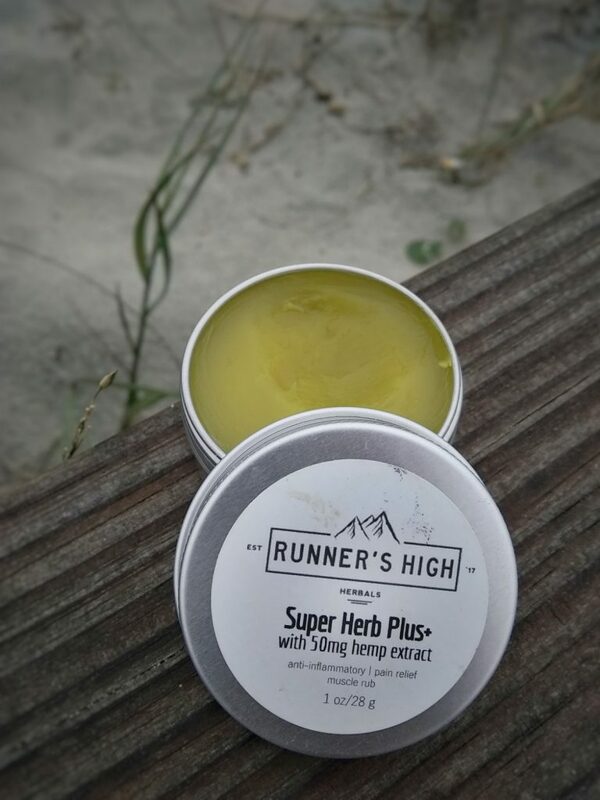 This has become my go-to, achy or not, after runs for my legs, and so far, is my favorite product from Runner’s High Herbals. This oil blend combines capsicum and camphor, and is infused with lots of hot things like cayenne pepper, ginger root, pinion, pitch, cinnamon bark, and cloves (among others). Some like it hot! is designed for after workout use, and is good for muscle cramps, headaches, arthritis, sore muscles, and inflammation. When used topically, the active compounds contained within the ingredients of the oil dilate blood vessels, which in turn increases circulation bringing more healing oxygen to the irritated muscles/joints/tendons, as well as speeding up the body’s natural healing process. So naturally, I started small. Some like it hot! smells like Christmas (it’s the cinnamon and cloves! ), and does give an amazing heating sensation. I will say though, if you have very sensitive skin and you are sensitive to things like heating or cooling sensations, you might not enjoy this one, as you definitely can feel it. For me, the increased dilation almost itches (similar to that of pre-workout reaction). I put it on my knees (under the patella) for relief from slight aching after a long run. It does come out with a bit of natural coloring, and the label does warn that it may stain clothes. So definitely save this one for a post workout pair of old sweatpants. This is your ol’ reliable, smells like a combo of muscle relief & Grandma, menthol rub. 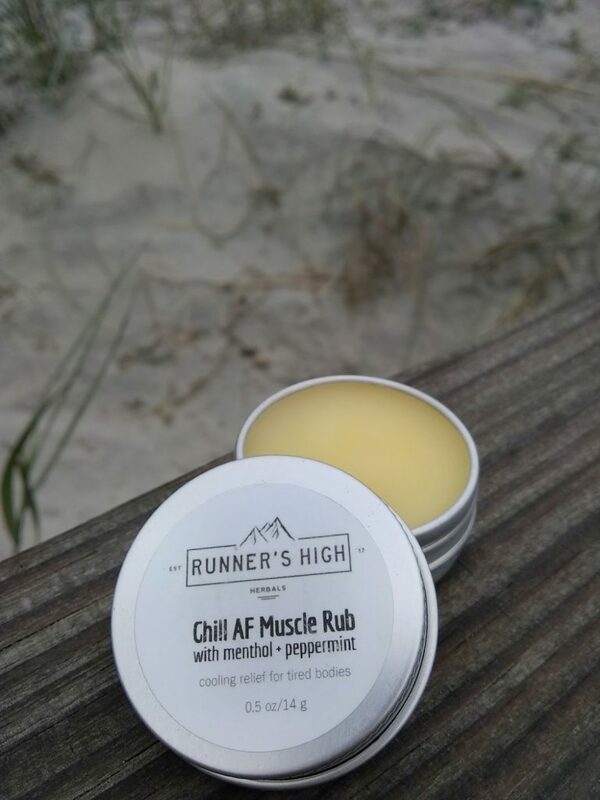 The complete opposite of Some Like it Hot!, Chill AF gives you that icy cooling sensation that you’ve probably become accustomed to with other muscle rubs. Chill AF is made with wild Arizona pinon pitch, arnica flowers, and menthol to bring relief to things such as sore muscles, rolled ankles, inflamed tendons, swollen joints, etc. However, unlike Grandma’s muscle rub, the scent of Chill AF is mild, and doesn’t have that “medicine” smell accompanying it. Chill AF is the perfect post run muscle rub when nothing particularly hurts, but I’m simply filling overall fatigue and want a little refresher or relief…but I don’t want to slather my body in chemicals. 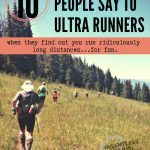 1) Runner’s High Herbals have not been evaluated by the FDA. They are not intended to diagnose, treat, cure, or prevent any disease. We always encourage you to do your own research of the ingredients if you are unfamiliar with this kind of product. 2) Topical anti-inflammatory and analgesics are NOT a substitution for medical care if you have a chronic injury. 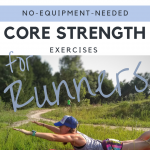 As a running coach and fitness professional, I URGE you to get to the root of the problem if you have more than general aches and soreness from a heavy training load. 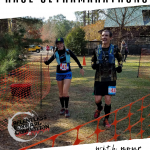 Chronic pain and injuries in athletes are often the sign of something deeper, such as biomechanical issues or weaknesses, overuse, and overtraining. Please seek medical advice if you are trying to heal an injury. So there you have it. 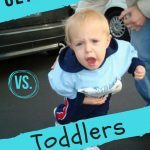 Again, this is an unsponsored post and review (though all of my reviews are honest and authentic…but no one asked me to write this one!) of a product I have been really enjoying. 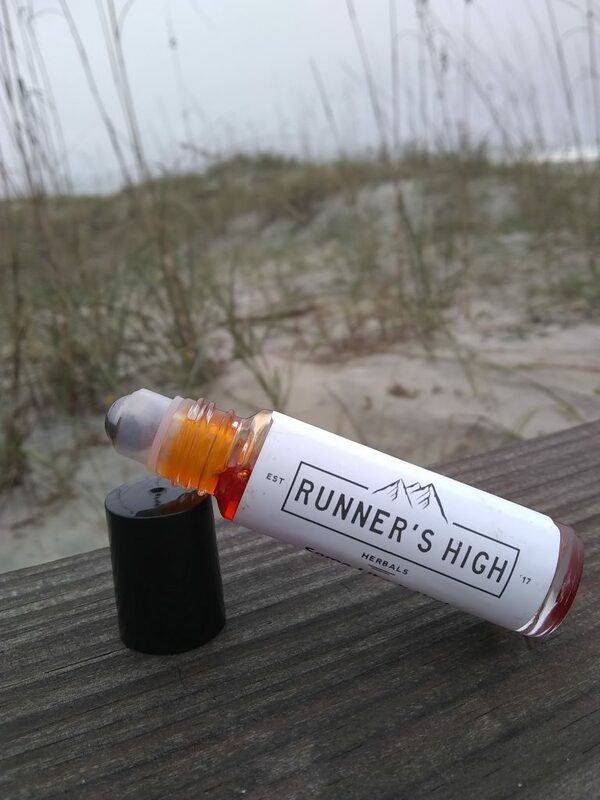 So if you have been curious about Runner’s High Herbals, I give their line a green light. Place an order, and give it a try! 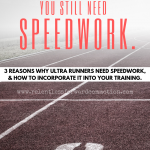 « Why Do My Hands Swell When I Run?